Kuris Raits lives and carves on the Little Slocan River in the beautiful Slocan Valley of BC. He has enjoyed carving for over twenty-five years; carving thousands of birds of well over one hundred different species. 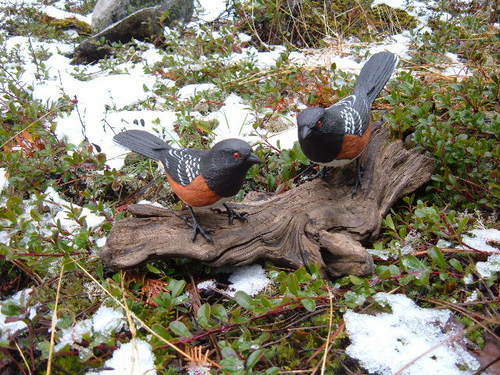 All his birds are individually hand carved and detailed and painted in lifelike colours. Kuris' carvings have proven to be popular with collectors and he is happy to consider individual requests. 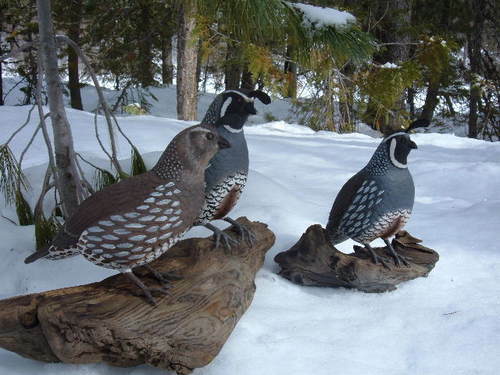 California Quail carved from Spruce and painted with acrylics. 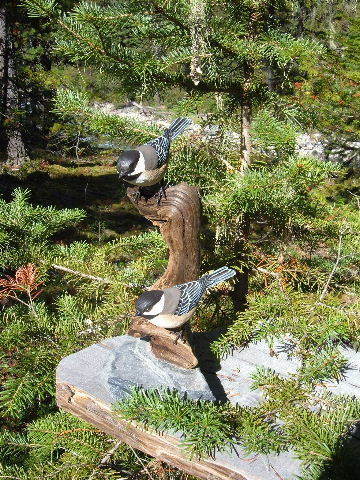 Black-capped Chickadees carved in Spruce and painted with acrylics. 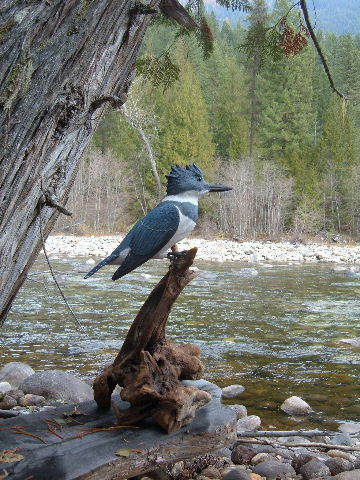 Belted Kingfisher carved from Spruce and painted with acrylics. 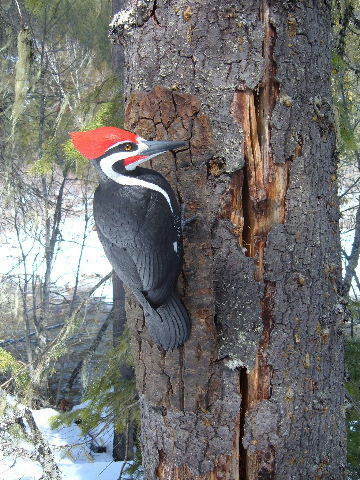 Pileated Woodpecker carved from White Pine and painted with acrylics.